Our daughter has firmly entered what my husband and I refer to as the "seagull phase". 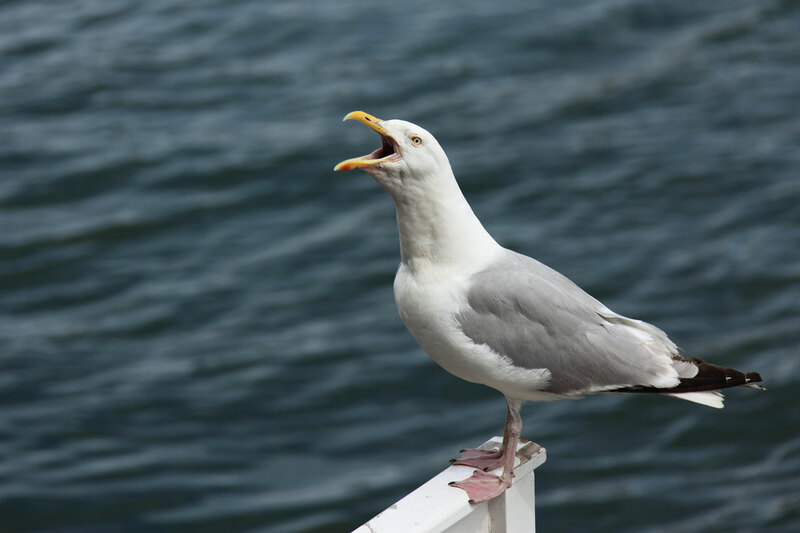 The "seagull phase" usually presents between 12 and 16 months of age as the child's awareness of his or her surrounding environment increases. 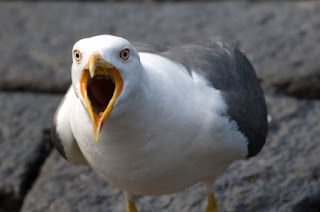 This awareness, coupled with a lack of meaningful language skills, results in the dreaded "seagull's CAW". I rush to retrieve the desired item in a timely fashion. Thrilled to be reunited with her beloved (yet pestulant) blankie my daughter's smile returns. For 7.3 seconds. At which point she spots her doll across the room. The seagull is back. And she means business. I literally beg my son to hand over his beverage in hopes of getting a moment's respite from the caw. It works. Until I am too slow feeding her oatmeal. 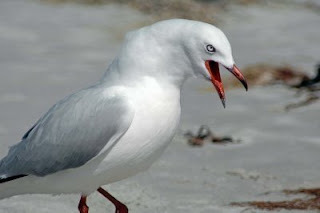 Again I have failed and have further angered the seagull. picking her up - AAARRRRRRRRRKKKKKKK!!!!! not picking her up - AAARRRRRRRRRKKKKKKK!!!!! putting her down - AAARRRRRRRRRKKKKKKK!!!!! not putting her down - AAARRRRRRRRRKKKKKKK!!!!! refusing to allow her to hit me repeatedly in the face with her sippy cup - AAARRRRRRRRRKKKKKKK!!!!! stopping her from pulling her brother's arms off - AAARRRRRRRRRKKKKKKK!!!!! letting grass touch her - AAARRRRRRRRRKKKKKKK!!!!! 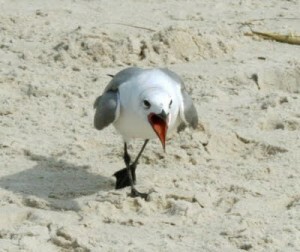 advising her against eating fistfuls of sand - AAARRRRRRRRRKKKKKKK!!!!! forbidding her from removing my tonsils with her fingers - AAARRRRRRRRRKKKKKKK!!!!! When out and about with my daughter, strangers take note of her large, innocent-looking blue eyes, her halo of blonde curls, and her cherubic face. "What an angel!" they exclaim. I smile and nod, safe in the knowledge that her brothers and I know the real truth.